← Geoff Major’s Charity North Pole Trek Flag revealed! 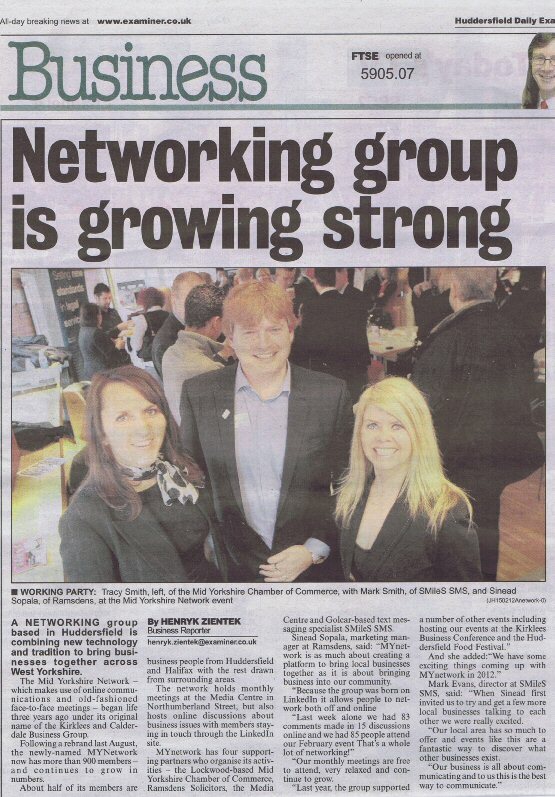 Posted on February 20, 2012, in SMileS Features/Articles and tagged Huddersfield Food Festival, Kirklees Business Conference, Mid Yorkshire Chamber of Commerce, MyNetwork, Networking, Ramsdens, The Huddersfield, The Media Centre. Bookmark the permalink. 1 Comment.